Working on an interesting outreach project or artistic endeavor with your chorus? We'd like to hear about it. 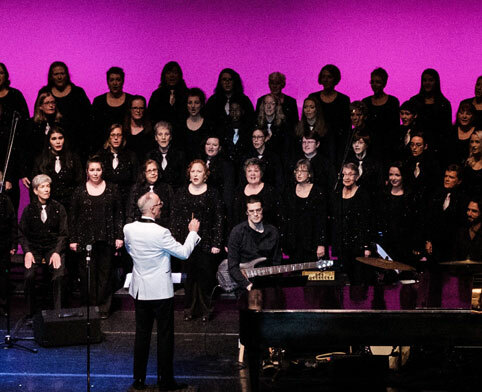 Join the Member Spotlight and submit your chorus story or inspiration. We look forward to shining the spotlight on you! Nashville in Harmony (NiH) is Tennessee’s first and only musical arts organization specifically created for people of all sexual orientations, gender identities, gender expressions, and their allies. With a mission of using music to build community and create social change, NiH brings people together within both the LGBT community and the community at large. Nashville in Harmony (NiH) and Intersection Contemporary Ensemble have commissioned a new 20-minute work, titled “Those Moments,” by composer TJ Cole for chorus and instrumental ensemble that explores the concept of the gender spectrum. TJ Cole has been commissioned by the Cincinnati Symphony, the Louisville Orchestra, and the Baltimore Symphony, among others. NiH will work with Intersection and other community partners to engage the LGBTQ+ community and its allies in the planning and implementation of this project that incorporates the stories of NiH singers into the new work as both texts and audio clips. "Let's stand; let's sing; let's change the world." A new LGBTQ vocal ensemble which also serves as a gathering of local LGBTQ musicians. SF's, a cappella pop band of powerhouse soloists, booming beatboxers, and street-real rappers. Home for anyone who does not fit neatly into the gender binary, as well as those touched by trans issues.